Moustaches of the Handlebar Sort | lavender. The blog you are currently viewing did not used to look this cool. I changed my mind over, and over. To be completely honest with you, the idea from this blog came about firstly with a picture. This might come as a shock to you, but you have been deceived. I am not the devoted blogger I initially made myself out to be. This is a blog for university assessment. So I thought, how perfect! While I was still without a clue on what I wanted to write about, I had an image to guide me. And so, somehow connecting the scattered dots in my head, I came up with the concept of Lavender. You might have noticed that the only place this image now appears is on this very blog post. Yes, I got rid of the muse-esque, inspiring image. 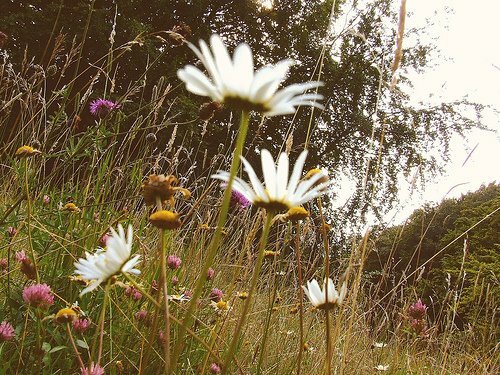 Why is it that the image no longer exists as the centrepiece of this blog? As the blog developed, so did the idea; and I later, somehow, came to the (delusional) conclusion that the image was no longer right for the blog; the image had rendered useless because it doesn’t make the blog cool. After all, as Alan Lui suggests, good form (a secret intellectual word for ‘design which has a function’) is “not just decorative, but aggressively functional”. My image no longer had a function, no matter how happy it initially made me to look at it. I’d like to think that my current super-cool layout is rather functional. The header is an image of lavender while the background is (I like to think) black, strong, bold and masculine. My intention was to convey a sense of irony and paradox while lookin’ damn good. However, it took me an embarrassingly lengthy session in front of the computer to figure out what I wanted. Only after hours of “previewing” and “activating” every template available in WordPress, did I make my final choice. 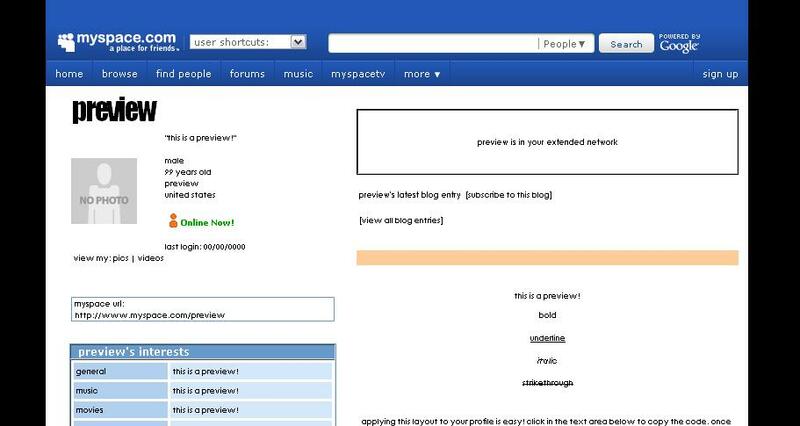 I hoped that my using the default MySapce template, I could set myself apart from other 12-year-old MySpace users. In doing so, just like I hope aesthetics of this blog says something about it, I hoped my rebellious default layout choice spoke volumes about the kind of person I am. The way I see it, using design as a marker of distinction is not completely beyond communicating information. The function of form is to communicate information, and that information is what makes a site so distinctive in the first place. 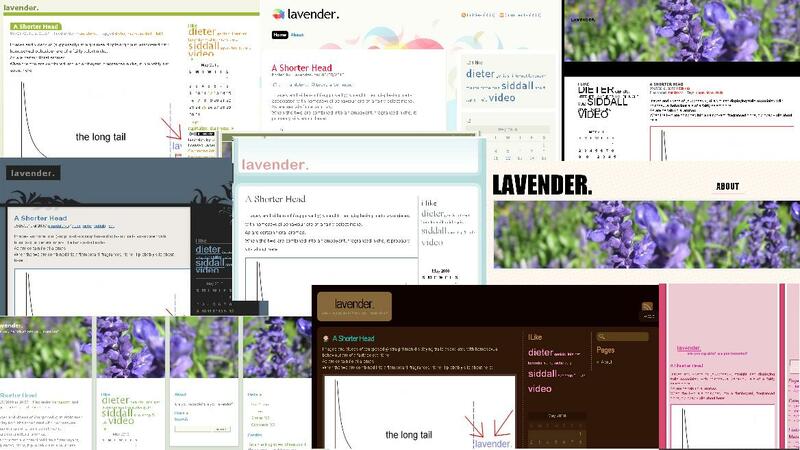 While I loathe to admit Lavender isn’t the quite the James Dean of blogs, I must concede. My hat’s off to you, The Art of Manliness. I strongly advise you click on that link. Lavender lover, assessor, fellow student and all. This site is so goddamn cool. It’s the Macbook Air of blogs. The content is made fairly clear though the form. So in Lui’s sense of the word, this blog is cool because its design is not useless. The navigation bar is easy to follow, just by looking at the header; we get a pretty clear idea of what the blog is about and the background is distinctive but unimposing. Everything serves a purpose. And in terms of cool in the purely visual, non-academic sense of the word, see for yourself. I’d like to think Lavender looks as cool as The Art of Manliness and that my blog is the handlebar mustache of blogs (that is, just as aesthetically arousing). But if design is indeed “a style one…produces, not a style one just consumes,” I did not, in fact, design this blog at all. I merely teamed a template with a header image, selected some colours (this being one of the few, if not only, wordpress theme which allowed me to do so) and deceptively dubbed it “mine”. Plus the widgets. I chose a few widgets and dropped ‘em where I wanted. But let’s not get too cynical. It is unlikely that someone else will decide that teaming this particular ‘theme’ with the same header image and identical positioning of widgets will serve the same function. So I shall claim this combination, label it ‘original’ and ‘distinctive’ and be very proud of it indeed. Liliana, Olia. (2009). ‘Vernacular Web 2’. Merz Akademie: Stuttgart.